The use of monoclonal antibodies (MAbs) and MAb conjugates as biopharmaceuticals have increased over the last decade. As a result, more cost-effective, efficient, and flexible process purification solutions are of high priority for MAb manufacturers. 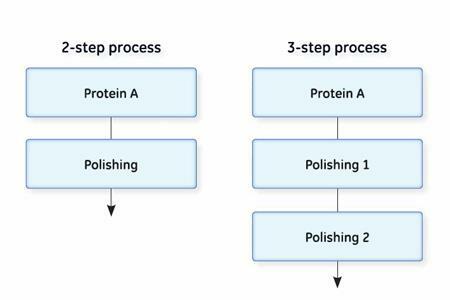 Increasing product titers upstream can introduce challenges in downstream purification processes. With increased MAb titers, the cell culture supernatant might contain an elevated number of impurities (e.g., aggregates) that need to be separated from the target molecule. This white paper is a guide to the development of MAb purification platforms and provides an overview of GE Healthcare’s offering of process chromatography media (resins) and membranes for MAb purification processes. 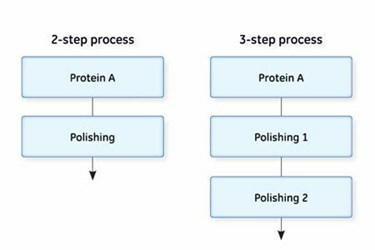 An introduction to high-throughput process development (HTPD) is also given, together with specific case studies on the development purification steps.